Your chakras are the energy centers of your body that need to be well balanced to keep it functioning properly. An imbalance in any area of your chakra may result in chronic illnesses. While it’s a sound judgment to seek professional help when symptoms of an illness show up, it’s also worth considering to look into other aspects of your being that might be the root cause of the problem. The balance of your chakras can be one of these aspects. Since these energy centers are located in the specific areas of your body, identify which part of your body is in pain or you feel is out of alignment. There are a lot of ways to balance your chakras and using color and sounds is the simplest way to do it. Here is how you can use color and sounds to restore the harmonious flow of energy across your chakra system. 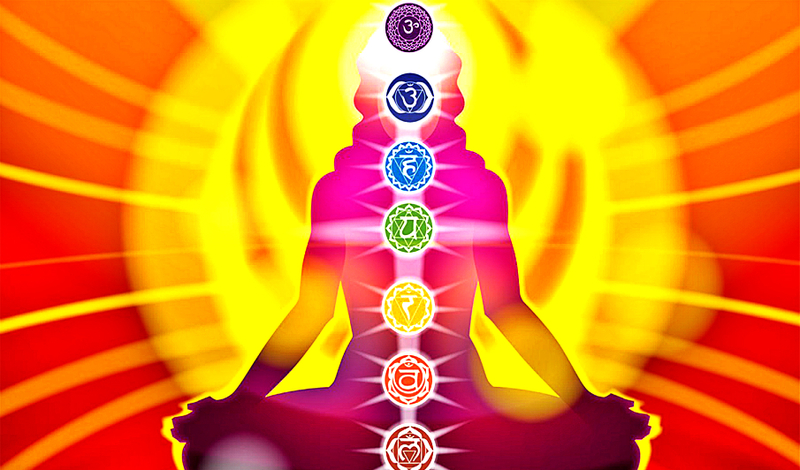 Your first chakra is located at the base of the spine and is associated with the color red. An open red chakra is linked with the health of your spinal, leg, hip, kidney, and bladder. This red chakra is the foundation of your survival and security. An imbalance in this chakra may result in eating disorder, excessive greed, and negativity. To bring this chakra into balance, meditate on the color red. You can also wear red colors. The C note is the sound that is correlated with your root chakra. Listen more to the sounds containing this note. Located in the lower abdomen just below the navel, the sacral chakra is the orange chakra. The health issues in this chakra include problems in the uterus, ovaries, and testes. An open orange chakra leads to happiness, sociability, and independence. An imbalance in this chakra makes you feel unhappy or isolated. To bring back the balance, meditate on the color orange. The sound related to the sacral chakra is the E note. The solar plexus or yellow chakra is found in the solar plexus behind the ribs. This third chakra governs the health of your liver, spleen, stomach, and intestines as well as your will and determination. Any blockages in this chakra will result in diabetes and ulcers and make you feel inferior and pessimistic. Meditate on the color yellow when problems in this area arise and meditate to the sound of the D note. Situated near your heart, the heart or green chakra is related to your heart. It governs your ability to care and the feelings of compassion, generosity, and love. Problems in this chakra make you feel bitter, indifferent, or uncompassionate. The health issues to look out for are those of the heart and breasts. Meditating in green nature is the best way to find balance. The F note is correlated with the green chakra. You speak your truth through the throat or blue chakra that governs the health of your lungs and throat. Health issues may include asthma, thyroid, and hearing difficulties. An open blue chakra makes you feel calm, loyal, and trustworthy while any blockages cause you to become self righteous and unfaithful. To make the most of this chakra, surround your bedroom with the calming blue color and listen to the sound of the C note. Your sixth or third eye chakra can be found on your forehead, between your eyebrows and is dominated by the color indigo. Connected with the eyes, head, and sinuses, the third eye chakra is said to be the portal to your inner vision or intuition. Any problem in this chakra may make you unable to trust your intuition. The indigo color is what you need to focus on as you bring balance to this chakra. The note A is the sound you need to listen more of. Found at the top of your head, the crown chakra connects you to God and Spirit. Mostly associated with the color white, the crown chakra also vibrates to the color violet. It’s linked with your brain and closely associated with beauty, creativity, and inspiration. An imbalanced crown chakra may lead to feelings of depression, low sense of self, and disconnection. Meditate on the color violet once you feel an imbalance in this chakra. Staying in a room with violet colors or wearing a violet scarf may help. The B note is linked to this chakra. Color meditations have a restorative effect on your chakras. When you focus on a particular color that is associated with a specific chakra, you are enhancing the vibration and power of that chakra. If you want to focus on the sound therapy, you can buy CD’s or watch youtube videos that can guide you more on your healing journey. Doing all this, you may alleviate a particular symptom that is related to a specific chakra. However, if your symptoms are getting worse, it may be time to seek medical help. Color and sound therapy are only a means of improving your health and wellness in a holistic way and can be done in combination with other modes of healing.